Mooij loves to talk about his work. Being a young scientist himself, he hopes to inspire other young people to take up a career in science too. It is safe to say, algae is Peter Mooij’s life. 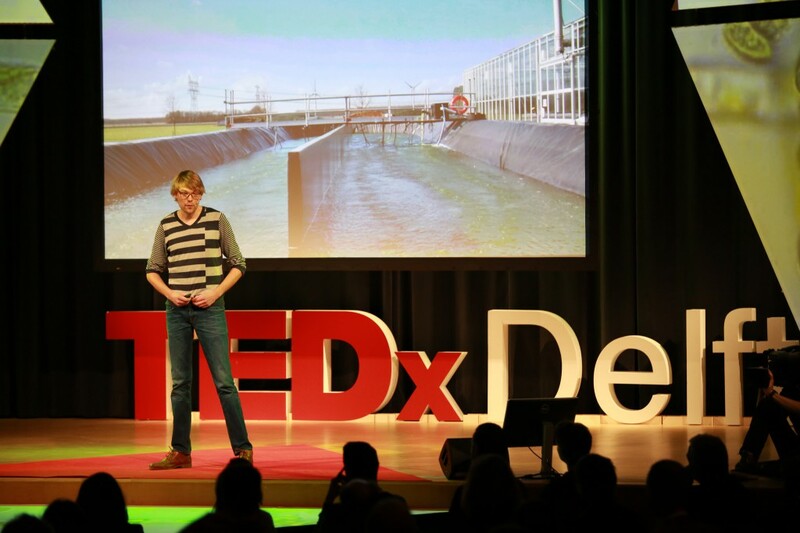 His favourite colour is algae green, he lists algae as his pets – millions of them – and, most importantly, he researches algae at the Environmental Biology Department at TU Delft. And that environment happens to be one of starvation. “Micro algae will produce fat in times of plenty. Then if you starve them, the fat algae will feel right at home. We call it survival in the fattest,” Mooij explains. But how do you cultivate them on a large scale? “The algae you carefully select in a lab, we be outcompeted by others in a larger environment.” So Mooij asks the audience to send him water samples from all over the world, containing all different kinds of algae. “Together we can beat Shell,” he concludes. Or join them, because he aims to take over Shell in a number of years.